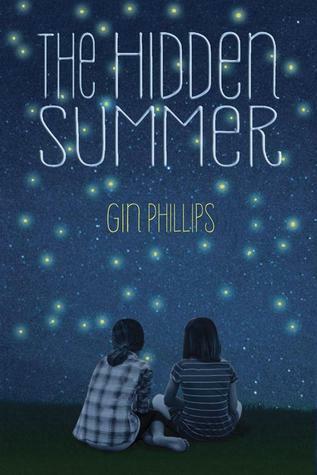 In The Hidden Summer by Gin Phillips, Nell and her best friend Lydia’s mother have a fight they are told that they cannot hang out together anymore. But for Nell especially, being apart from Lydia is not an option. Gin Phillips makes the reader feel Nell and Lydia’s emotions as the 12 year olds figure out a way to work around their mother’s’ orders. Each one tells her mother that she will be at camp or summer school, so the mothers think that they’ll be busy all summer. That is not what Nell and Lydia have planned, however. Discovering an abandoned mini-golf course, they enjoy spending their days there. The summer becomes even more interesting when Nell and Lydia begin discovering mysterious signs and symbols written in chalk on the golf course that lead the two girls to a surprising discovery. Enjoyable from beginning to end, The Hidden Summer draws the reader in with a lively, engaging writing style. Gin Phillips does a excellent job of creating characters that are believable with their emotions and actions. Anyone who has ever argued with a parent should be able to relate to how Nell and Lydia have mixed feelings about their mothers fighting and not letting them see each other. Gin Phillips’ writing also gives you a vivid description of summer in Alabama, where the book is set. She builds suspense through the clues left at the mini-golf course, and when she reveals where the clues lead it is a shocking discovery. I would recommend The Hidden Summer to anyone who likes to really get to know the characters in a book. Full of surprising twists and turns, including the discovery of bones that lead to an exciting quest, The Hidden Summer would also be a strong choice for a reader who enjoys suspense.